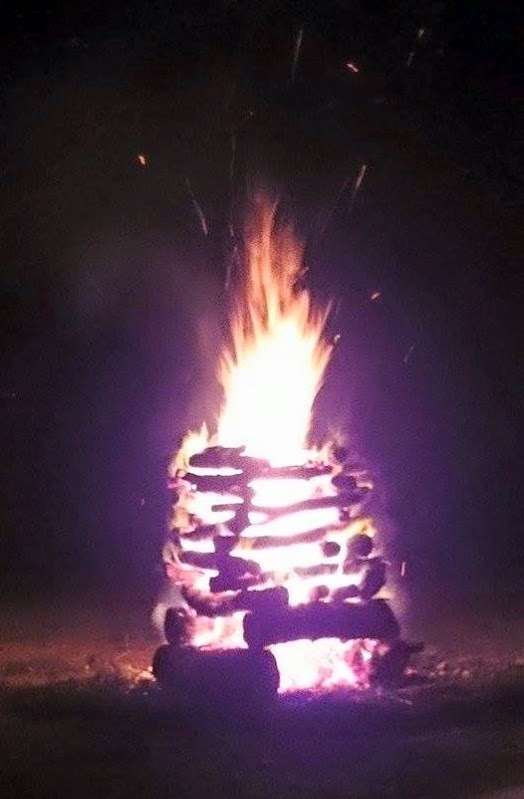 Beautiful bonfire built by Henning for our New Year dinner party. I thought that if I could start 2015 with a tidy workroom and a clean house I would be happy. Every year the same idea comes to my mind. I really tried. This morning my studio is scattered with so many works in progress that I can't even count them. The kitchen counters are piled high with dirty dishes and there's a trail of mud on the floor where the dogs ran through. A tangle of laundry waits for the washing machine. Never in my life have I started a year when I felt that I had as much potential and new ideas as I do today. The party around a fire with friends and family was memorable and a quiet celebration for making it through a difficult year. My home is filled with the humans and animals I love. 2015 will be the year when I make a bonfire of wants and wishes. I'm burning away all the trivialities that aren't pertinent to living a purposeful life. I will work hard beside that fire. Because I have a plan. This is a year for taking action. May your year be filled with purpose too, and may you have the strength and good health to put your plan in action. My very best wishes to you and yours for 2015, Megan!